Employing delicate techniques based on precision and Japanese aesthetic, Credor was born in 1974 with its name based on the French “crete d’or,” meaning “crest of gold.” Each part, from the movement to the finest component, is made from select materials by master watchmakers and craftsmen, ensuring the beauty and refinement of each watch. 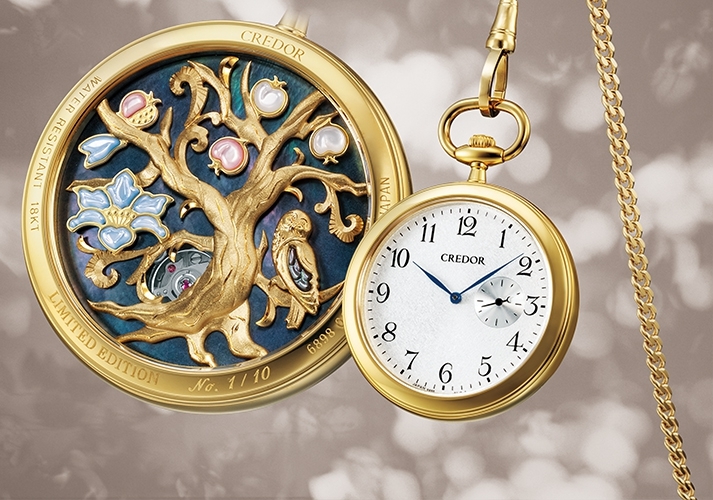 The year 2019 marks the 45th anniversary of Credor and is celebrated with a masterpiece made in a limited number of ten worldwide. The watch utilizes Caliber 6898, an ultra-thin movement from the historical Caliber 68 series which goes back to 1969. The three-dimensional engraving is found on the reverse side of this slim case, making it a work possible only by those of the highest level. Metal engraver Kiyoshi Terui, recognized as a Contemporary Mastery Craftsman by the Japanese government in 2002, brings the pocket watch to life by putting in over 100 hours of work into its engraving. Its design, the “Tree of life,” is centered on a tree showing the vast passage of time in which it stood, as well as it being a home to different forms of life represented by three motifs. The tree is given its dimension by a difference in elevation when engraved. This allows for a smooth roundness and depth in its form, and the work is done within a limit of 1.85mm in its case height. The tree trunk and branches are further engraved upon with grooves giving the tree its boldness and clarity. The three motifs that join the tree are, a flower found in traditional foliage-scroll patterns which combine peony, lotus and various plants and is known as an auspicious symbol of good fortune, a pomegranate fruit, representing prosperity, and an owl, which is a symbol in Japan for growing old with joy and good fortune. The owl’s wing is made separately with a black mother of pearl giving the creature even more expression when light is reflected on its wing. The other motifs utilize a mother of pearl shell which is painstakingly polished giving the flower its softness, the pomegranate fruit vividness, and the owl its presence. 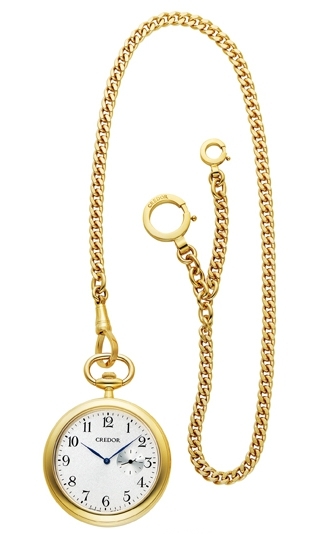 An additional aspect of joy is added to the watch with the rotor of the movement seen right behind the tree trunk. In an 18k gold case, this masterpiece shows the precision and passion for perfection of the craftsmen who made this possible, making it destined to be admired for generations to come.